At Warwick, service is a key driver of positive client relationships. Our clients receive top level care from our professional staff. Warwick’s drivers are an important part of the team and the overall company success. At Warwick, we are just small enough to give our drivers personal care and just large enough to provide our drivers with quality loads. 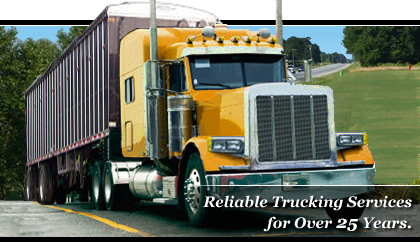 Warwick Enterprises is a family owned and operated bulk transportation and trucking company. For over 30 years Warwick has provided reliable bulk and dry freight trucking services for its clients. Centrally located in the mid-Atlantic state of Maryland, Warwick is within close proximity to major east coast cities, ports and distributions centers – allowing us to offer clients cost effective bulk, flatbed, tanker and van transportation solutions. Warwick provides instant payment for successful deliveries. Our dispatch team is well versed in the trucking industry providing personalized service 24 hours a day.